If, like this writer, you were unconsciously reading the YouTube account MRJKPOP as Mr. J K-pop, you may be surprised to hear that M.R.J stands for none other than the show’s forerunner, Michael R Johnson. Johnson began his YouTube channel three years ago and since then has become one of the most watched reactioners relating to Korean music. Through insightful analysis coming from his professional background and his highlighting of even the smallest details in new songs from South Korea, MRJKPOP has become a go-to for many diehard K-pop fans who want to get a deeper look into the music. We spoke to MRJKPOP about his YouTube channel, being viewed over 13 million times, and a lot more. KultScene: How did you start off as MRJKPOP? I initially wanted to share K-pop with my friends, who had never heard of it, and also discuss the songwriting, production, and marketing aspects of it with others. As a session musician and songwriter, I constantly break down and analyze the music I am listening to in my head — always trying to learn something, get ideas and inspiration, and figure out how it was created in the studio. While I wanted to help promote and share this awesome pop music I had discovered from the other side of the globe, I figured that only a very small handful of “music geeks” like myself would be interested in listening to what I had to say, especially since my videos ended up being quite long. What makes you pick a certain music video to review? I have my own sort of criteria for determining whether I will spend the time to make a song review — since they take at least 4-6 hours each to create — but the main things it comes down to is if I personally am interested in the song, writers/producers, or group, if I think it is significant in some way in the industry, if I think a lot can be learned from it through analysis, and finally, if I actually have the time to review it shortly after it is released. You do a lot of reviews/reactions, but also have done several interviews. How did you go about transitioning from consumer to producer? I don’t really see it as a transition from consumer to producer — my review videos are adding a lot more substance and analysis than me simply consuming music, so even those already contain a lot of “producing” or “product.” Actually, this YouTube channel has always been a side project; I run a music production/technology and marketing company as my main thing — reviewing K-pop music on YouTube is just something that is a natural extension of the other things I do, and also intersects with my personal interests (yes, I actually enjoy listening to K-pop in my personal life). Before I ever started MRJKPOP, I was already creating and producing both music and video content for YouTube and elsewhere, so it’s natural for me to add things like interviews, collaborations, or original music content to the MRJKPOP channel. Videos from your main YouTube channel have been viewed more than 13 million times. What do you think people enjoy watching you so much? Did you expect the success? That’s a really big number — and it still always surprises me when I look at my analytics. Like I said before, when I started the MRJKPOP channel, and even for a long while after it was up and running, I still didn’t think more than a handful of music theory buffs, aspiring producers, and musicians would be willing to spend 15 minutes at a time listening to me talk. However, over the years of feedback via comments and messages from viewers, it seems that people really do like learning more about how the music they like is made — they want to see what is going on behind that curtain, and see what makes the “magic” happen. I have some knowledge, skills, and experience in that particular area, so I think that is why people enjoy watching me explain some of those things in a way that hopefully people with little knowledge of recording or music theory can still understand. At the same time, I hope that even experienced industry veterans and artists can also find value in my videos and analysis — and I have gotten positive feedback from many of those people who watch regularly. I also say exactly what I feel and what I think about the music I am analyzing, and don’t pretend, hold back, or try to sugar coat anything, and I think people appreciate that honesty as well. Watching your videos, it’s clear that you know a lot about music. What’s your background like? I was classically trained on the trumpet and music theory by an amazing ex-US NAVY Band, Washington D.C. 1st chair trumpet player from the time I was about 10-17. He was an extremely tough teacher, but I still use things he taught me to this day in my everyday work, and even when analyzing music on MRJKPOP. I played in various bands, wind ensembles, pit orchestras, jazz bands, and combos all through school, and attended a visual and performing arts high school for music and trumpet performance. When I was about 13, I began learning how to do remixes and record music myself, and started piecing together my own small studio. By 15, I was recording local artists and bands professionally, as well as writing and recording my own music. Sometime around then, I picked up electric guitar, and taught myself to play — using the knowledge of music and practice habits I had already acquired from the trumpet. I also taught myself how to build and repair electric guitars and audio equipment and amplifiers around that same timeframe. After high school, I transitioned to playing guitar more frequently, formed my own rock band, and continued to record and collaborate with other artists, while constantly building up the equipment in my own studio. I also began getting hired as a studio session guitar player, and started uploading guitar covers and original music to the Internet (as well as the early days of YouTube). That lead to collaborations and session work for musicians all over the world, like former American Idol contestants and YouTube musicians like Roomie, and eventually I was picked up by a studio working on music for major label projects, where I was a session guitar player, songwriter, and co-producer. I also continued to write and co-write music, and produce for other artists as well through my own studio. After a move to a different state, I continued my session playing, producing, and songwriting work, but focused on doing it through my studio and company on projects I chose to work on, which is what I’m still doing to this day. More recently, I am finishing a Music Production degree from the Berklee College of Music. Many of us know you through your YouTube channel, you also run a production company, MRJ Studios. Can you tell me a little bit about what you’re doing with that? MRJ Studios, Inc., is the music production, technology, and marketing company that I’ve basically been running since around 2003. It has been operating professionally since about 2005 as my personal music business, but was recently incorporated, so I have everything in place to continue to expand it. I offer a lot of different services through my business — from music production, recording, songwriting, artist development, session playing, and mixing to the marketing end of things, like social media presence, international promotion (especially for K-pop artists looking to expand their fan base in the USA), advertising, and more. I also offer a lot of technical services like computer systems setup, recording studio equipment repair and setup, consulting, and answering questions about how to accomplish various tasks relating to music, electronics, and the Internet. Video production and music analysis/consulting (much like what I do on the MRJKPOP channel) is just one of the many things my company can do. You’re extremely prolific, so can you tell our readers a little bit about what your work ethic is like? I don’t mind working hard, but I have had to learn to really manage my time carefully. For the past year and a half, I’ve been attending Berklee Online, which is full-time and year-round college, doing multiple videos and other behind the scenes work that you don’t see for MRJKPOP, and also running my business — all at the same time. Prior to that, I was in college for engineering and business instead of music production, so it has been much of the same schedule for the past 4-5 years. It’s a lot to keep track of, but I feel like it is worth it to keep at it and working as hard as I can. You have a lot to say about the present of K-pop, so where do you think the future will take the genre, its artists, and its fans? I really don’t know what will happen with K-pop, but I think it can certainly continue to grow globally, and appeal to more and more fans. I really do think that K-pop can become much more prevalent and desired in the US market, and that’s something I’m constantly working to help out in any small way that I can. And as always, I’m looking forward to seeing what new music comes out of K-pop next! What video did you enjoy making the most? The videos I enjoyed making the most are the interviews — although they are probably the most work by far — and the few skits I’ve done were really fun too. I do like making the more technical videos too, showing production techniques and really breaking down how to make sounds that are used in all of our favorite releases. Also, congrats on being featured by the Korea Herald! Is there anything else in the works that KultScene’s readers can look forward to? I actually wasn’t aware of that until you mentioned it and I just looked it up… I suppose that it’s nice that they mentioned me, but some of the information isn’t correct, and that type of thing happens rather often. Surprisingly, I am hardly ever contacted or asked when I am quoted, summarized, or referenced in news articles. You’d think journalists would want to get accurate information directly from me, and I make it rather easy to contact me in many different ways… So thank you for actually taking the time to contact me for this interview! Anyway, I’ve got a ton of stuff in the works all of the time — I really enjoy bringing new content to anyone who is nice enough to take the time to view it! I am working on some more interviews with KPop artists and producers, and I’m also working on a membership program for people interested in getting additional exclusive MRJ content directly from me, with a lot of other cool features included. Finally, I’m working on writing more original music that will be released or maybe even picked up by other artists soon! And, finally, what’s your favorite song of the moment? My favorite song of the moment is definitely Good Luck by AOA. I’ve been replaying the song and music video constantly since it first came out. Thank you for talking to us, MRJKPOP! If you like what you see, make sure to subscribe to MRJKPOP on his YouTube channel. Do you enjoy MRJKPOP’s videos? 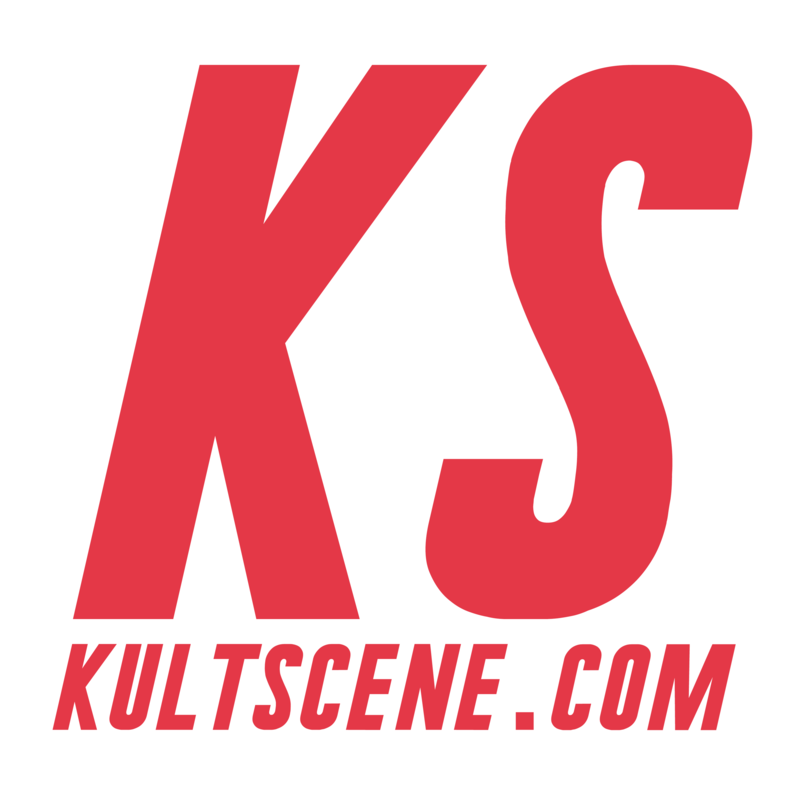 What other sort of interviews would you like to see from KultScene? Share your thoughts in the comment section below and be sure to subscribe to the site and follow us on Facebook, Twitter, Instagram, and Tumblr to keep up with all of our posts.